Did you know that up to 20% of heat loss or gain is through un-insulated under floors? Either way, our engineered blow-in insulation solutions will increase the thermal performance of your under floors, saving you money and making your home more comfortable all year round. The process of installing insulation is non-intrusive and will add value to your home by upgrading to modern standards. By doing so, you will benefit now and in the long term. Spray foam is the biggest innovation in the insulation industry since the introduction of fibreglass in the 1950s. No other product can provide conductive thermal resistance and an air seal in one application. This technological advancement allows us to create superior comfort and energy efficiency through higher R-value, while cutting homeowners’ heating and cooling costs in half. 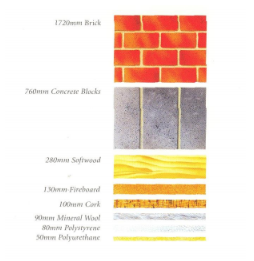 We use AUSFOAM 30, a low density rigid polyurethane Closed Cell Foam System uniquely developed to provide a highly flame retarded foam insulation system. It is has been developed for use in commercial, industrial wall and ceiling insulation applications where the foam is applied into stud work or framed construction. Has zero Ozone Depletion Potential. Has zero Global Warming Potential. Is Volatile Organic Compound free. Is non-hazardous in all respects. Meets all local Australian standards. 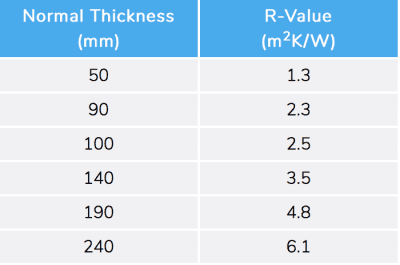 The diagram below demonstrates that the insulation capacity of rigid polyurethane foam is outstanding. In addition the foams also exhibit excellent physical properties such as mechanical strength, dimensional stability, water resistance, etc. Another advantage of rigid polyurethane foam is the relatively light weight to strength ratio when compared to other building products. Polyurethane Foam is a rigid cellular plastic and is available either foamed on site or in sheet form. The foam has very high thermal properties for their thickness due to the presence of trapped foaming gases, which are better insulators than air. How is Supafil CarbonPlus Installed? The insulation is blown into the floor cavity space by Approved Installers. Prior to installing the insulation, a material veil (BIB) is attached to the underside of the floor framing. The newly formed cavity is then completely filled with Supafil CarbonPlus. 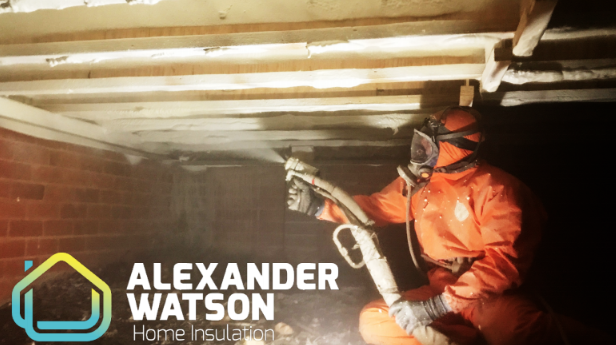 The insulation will fill all gaps and voids and around pipework to ensure complete, even coverage. After installing the insulation an appropriate lining is applied. The process is quick and clean and complements the construction process. The installation of insulation will only be carried out once a full assessment of the suitability of the property and area to be insulated has been completed. CodeMark is the highest level of product compliance in Australia, which is your assurance of the product’s suitability for use in your home and that it will perform as it should. CodeMark certification will also provide a smooth compliance pathway with local building authorities.